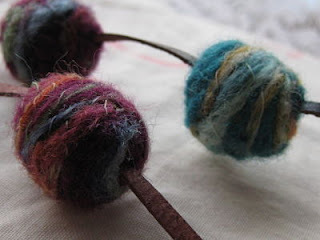 Have you entered the competition yet to win a felted necklace? Entries close 9th November 2009. Hi, Glad you liked it. When do you leave and where abouts are you going? This Sunday there it a craft market on in Devonport which is a quick ferry ride from downtown Auckland, mum and i are going to go and suss it out . I `ll see what else i can come up with and get back to you ASAP.